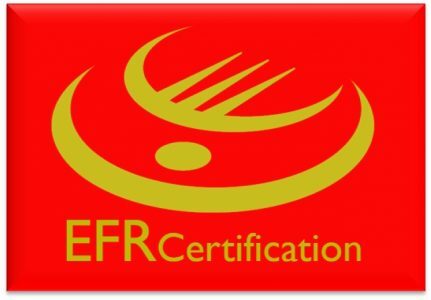 “EFRC – ASCB Accreditation Certificate” by ASCB CEO Mr. Stephen Feltham on March, 2010. 2.2.8 Academic Advisors – DRB Hicom University of Automotive Malaysia, PICOM International University College. Managing and provisions of training, and auditing in the implementation of IATF 16949, ISO9001, ISO14001, ISO45001, Six Sigma, Lean Manufacturing and others quality improvement program. Provision of training, consultancy services and auditing in the development and implementation of ISO 9001, ISO/TS 16949, ISO14001, OHSAS18001, Six Sigma, Lean Manufacturing and others quality improvement program. Mentor for Lean and Gemba Kaizen workshop for Asia Pacific business group. Dr. Edly industrial experience was in the automotive industry. During his stayed with the TRW Automotive, he was tasked with the responsibility of promoting and implementing Lean and Six-Sigma within the Organization. Due to his extensive exposure in Lean and Six-Sigma Management System, he was invited by Malaysia Productivity Corporation (MPC) since 2002 to conduct public training in the area of Six-Sigma implementation. In addition have been conducting many round of lean workshop across the globe including Quality Management System related course and Six Sigma. A plastic injection molding process characterization using experimental design technique: A case study; Jurnal Teknologi 2004. Manufacturing audit to improve quality performance–a conceptual framework; World Engineering Congress 2007. Effectiveness of quality management system audit to improve quality performance–A conceptual framework; International Journal of Quality and Reliability 2008. Sustaining and spreading the gains in lean Hospitals: Role of Leadership, 2011. Lean Supply Chain contribution toward Lean Health Care, 2011. Enabler for integrated operations diagnosis and improvement; ARPN Journal 2015. Empirical Research Methodology on Operation Diagnosis to Identify Operation Improvement Opportunities; IEOM Conference Detroit 2016. A review of operational risk management decision support tool; Proceeding of IEOM International Conference Morocco 2017. A Review on Operations Diagnosis to identify Operational Improvement Opportunities; Proceeding of IEOM International Conference Kuala Lumpur 2016. A review on the selection of lean production tools and techniques; ARPN Journal 2016. Operation Diagnosis and Improvement Approaches—Common Practice, Prowess, Limitations and Future Focus; Journal of Advance Science Letter, 2017. Case Study on Development of Process Failure Mode Effect Analysis (PFMEA)–Issues and Recommendation; Proceeding of IEOM International Conference Bandung 2018. Issues and Improvement Opportunities in Management System Internal Audit–A Survey; Proceeding of IEOM International Conference Bandung 2018. Development of Risk Management Framework-Case Studies; Proceeding of IEOM Conference Paris 2018.